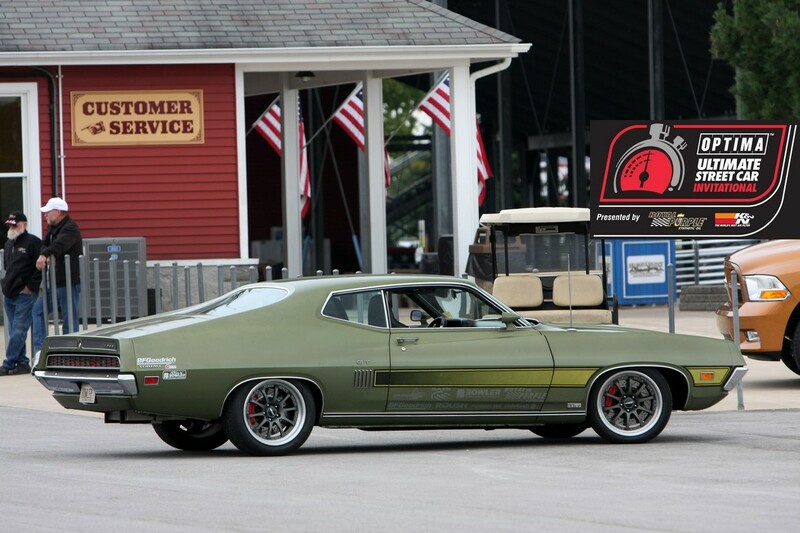 Every successful series seems to have a cast of interesting characters, who also happen to compete against each other and the Ultimate Street Car Association is no exception. Case in point- Joe Escobar, owner and driver of this 1974 Ford Pinto. Joe is at the same time, like no other competitor in the USCA, but also like every non-competitor, sitting on the sidelines, instead of being an active participant. 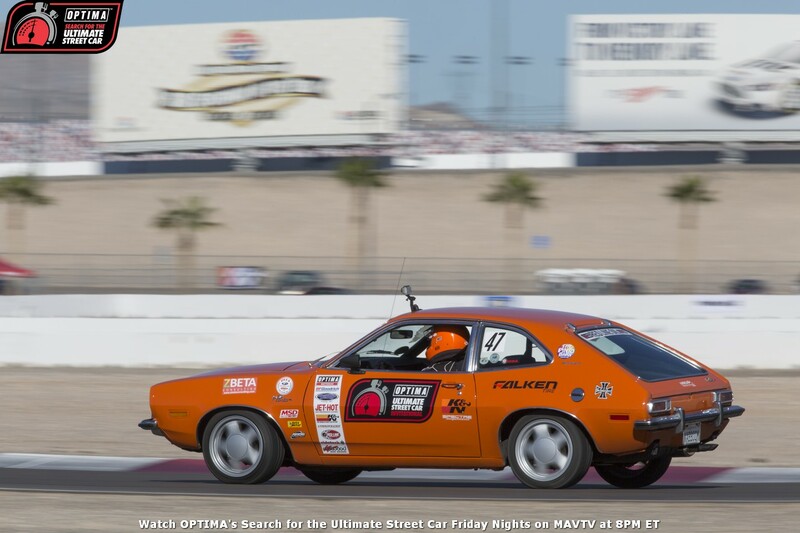 Joe's Pinto isn't a six-figure build, it doesn't have a monster engine or some secret turbo combination, but it is very symbolic of what is possible for just about anyone who might have an interest in trying to qualify for the OPTIMA Ultimate Street Car Invitational, presented by KN Filters. Joe didn't qualify for the 2014 OUSCI because he won a qualifying event or because he was extended a KN Filters Spirit of the Event invite, although he certainly could've qualified for that. Joe earned his way into the OUSCI by running consistently at all three West Coast USCA events and accumulating enough points to hold off the competition, winning the GT2K (under 3000 pounds) National Points Championship in the USCA and punching his ticket for Las Vegas, inspiring countless others to do the same. I had no expectations going into the OUSCI, as my car wasn't really that competitive. 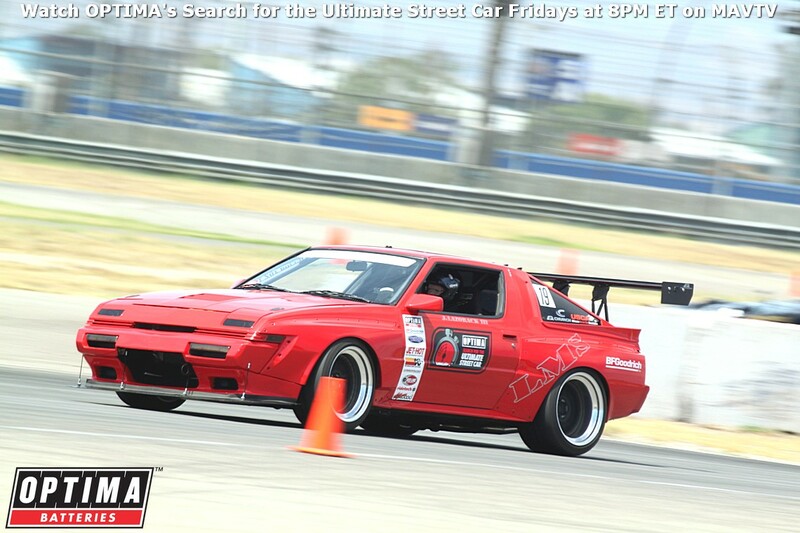 I entered the Ultimate Street Car Association mostly for fun, after I got hooked at the Laguna Seca event. I never expected to win the GT2K class just by showing up, but that was cool. I didn't finish last at the OUSCI (79th out of 92 finishers) and the car didn't break, so I'm more than pleased with the outcome. Chad, Jimi, Cam and all the staff were great to be involved with and the fact that everyone accepted the Pinto so well was really cool. Who would've thought that I would walk away with a trophy, let alone get invited to the OUSCI? When I ran in the first event, I went in thinking I will do this for the fun and experience, but then the drive to go faster kicked in! Being on a small budget, I would make small modifications for each event, to see if I could better my skills. In a way, I'm glad the car wasn't really fast this year, so I could work on learning driving skills. Too much horsepower without much driving experience can get you in a lot of trouble, so I figure ramping up the car gradually, as I did each event, kept me out of trouble. I don't run nearly as many racing events as a lot of these guys do, but I hope to attend more track days in 2015, if possible. I also hope to compete a little more and am adding some turbo power to the car. I'm not sure if I can get it done before the first event of 2015, but "the little Pinto that could" will need to make some more noise this year and maybe scare a few V8s if I'm lucky! Mechanically, I had no issues at the OUSCI, which is one advantage of low horsepower (~120)- you don't break stuff as often. The only mistake I feel I made was not noticing the flag stands when I was black-flagged after having one wheel drop off the course. A lot of that was probably nervousness and a lack of experience, while trying to learn the course and keep up as best I could. I made it a point to watch for them after Jimi Day (Event Director) spoke to me about it. The umbrella girls were a great surprise at the OUSCI and I also really enjoyed the mirrored format of the RideTech Street Challenge Autocross. The rest of the field was full of lots of amazing and unique cars and drivers and it was great to be a part of that. I think all of the drivers were respectful of each other, regardless of what car you brought. None of us wanted to see anyone crash or break and when it did happen, I believe everyone was concerned, no matter how it affected their standings if a car was taken out of competition. I was very impressed at how the all-wheel drive cars performed. I do wonder if there is an advantage, if you have traction control and anti-lock brakes, as it seems that the computer does some of the work for you. As for advice for future competitors, all I can say is that if you really want to get some seat time at an event (or series of events), the USCA is the way to go. I was more of a car guy when I was younger, working as a mechanic, drag racing, etc... but got away from it for many years, playing music on the road, raising my son making a living. I started doing the Goodguys Autocross about three years ago and started getting the car bug again. I have always wondered what it would be like to drive on a real road course. When I got to drive Laguna Seca (although honestly, I was nervous as hell), it brought back all of the excitement from my younger days, hanging around with car guys. Now, at the ripe old age of 60, it's like being in a car candy store. You can do this for the fun and experience or you can try to be competitive with the big boys or maybe both, but you can certainly learn from everyone, as they're all willing to share their experiences with you. Having a pro driver ride with you and show you how to drive a racing line is priceless and I recommend it to anyone with little or no experience (and it's included with every USCA event). I have made so many new friends that can even help with getting car parts, as well as getting discounts from manufacturers, when they see your car on TV! If you can find a way to budget a couple of events, I say go for it, you won't be disappointed!